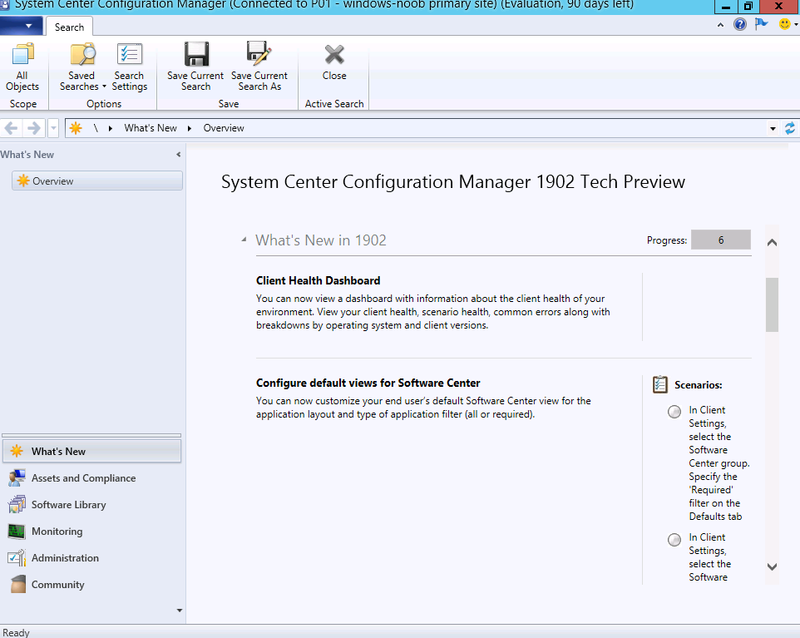 System Center Configuration Manager 1902 Technical Preview is available | just another windows noob ? 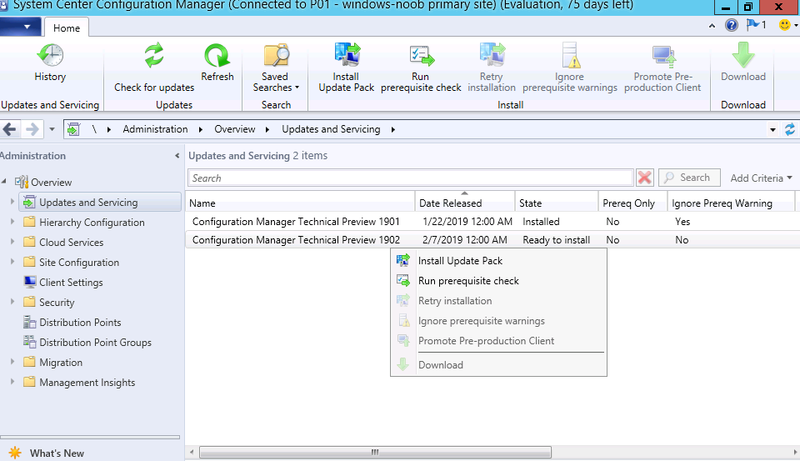 Last night SCCM 1902 TP was released and this release has some interesting new updates. View first screen only during remote control – When connecting to a client with two or more monitors, a remote tools operator can now choose between seeing All screens or the First screen only. Redirect Windows known folders to OneDrive – You can now use Configuration Manager to move Windows known folders to OneDrive for Business. These folders include Desktop, Documents, and Pictures. 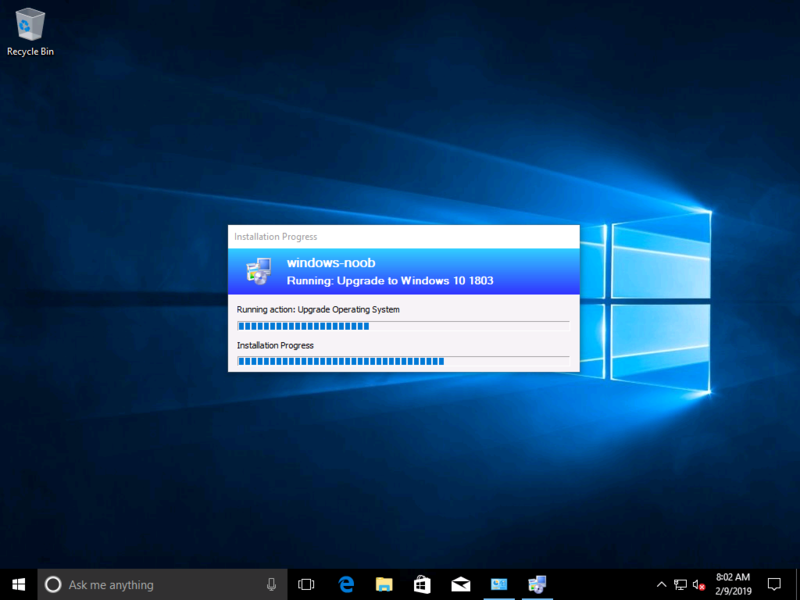 Progress status during in-place upgrade task sequence – You will now see a more detailed progress bar during a Windows 10 in-place upgrade task sequence that shows the progress of Windows Setup. Improvements to the client health dashboard – This release includes layout improvements, improved drill-through from tiles to actionable device lists, and increased performance for large environments. Once it’s downloaded it’s ready to install, you know the drill at this point, go ahead and right click, choose Install Update Pack and then follow the wizard. 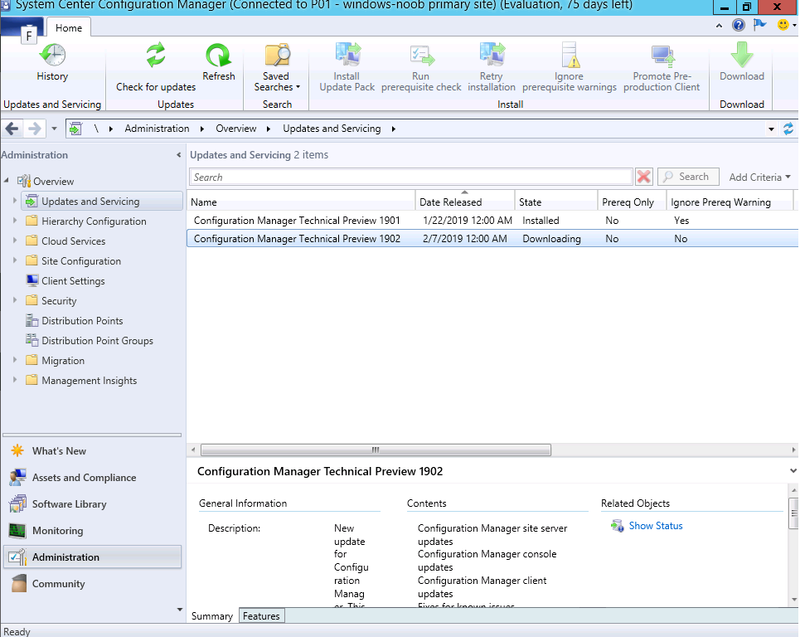 After some time it will have installed and it’s ready for the Configuration Manager console to be updated. After the console is upgraded you get to see the finished product. The new features are listed. One that I’m interested in is a progress bar for Inplace Upgrade scenarios (IPU), this is definitely something worth having as users don’t have a clue what state an upgrade is in. 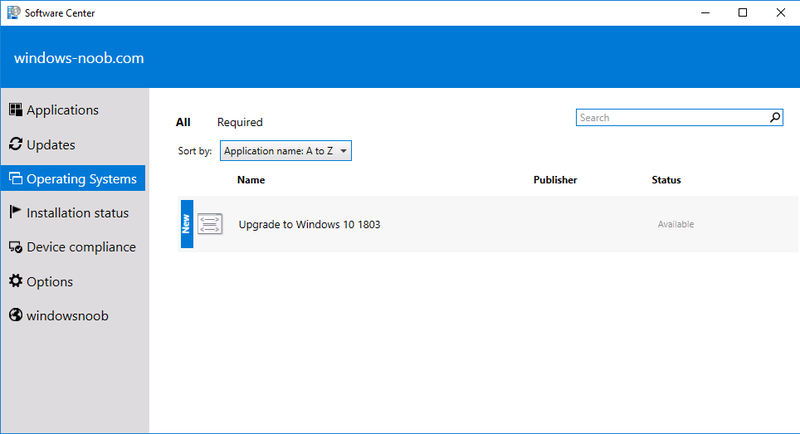 To see the new feature, I installed a vm with Windows 10 version 1703, and then deployed an Inplace Upgrade task sequence to it. And here you can see the ‘Installation Progress’ it’s not much but at least it’s a step forward in informing the user.